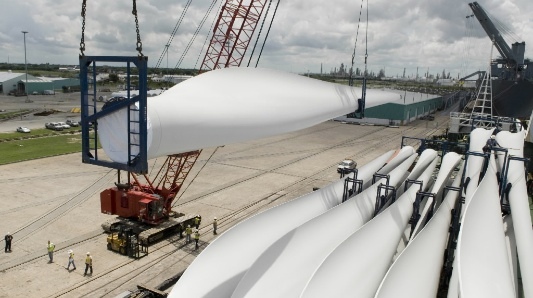 The NY Times' "Green Inc" blog has a post on one boom area for shipping - moving wind turbines around - Ports Welcome Wind Shipments. Ports, like most businesses, have suffered badly in the recent downturn. At the Port of Long Beach, shipping volume is off 10 percent from last year – and unwanted cars are stacking up on the docks, as my colleague Matt Richtel reported last week.